← Vision : 0.8.1 update, what’s new ? Hey, I was wondering if you could add whale song. My wife doesn’t mind when I use that one instead of the cicades. I’ll try to find this ! I love your Color My Dreams. 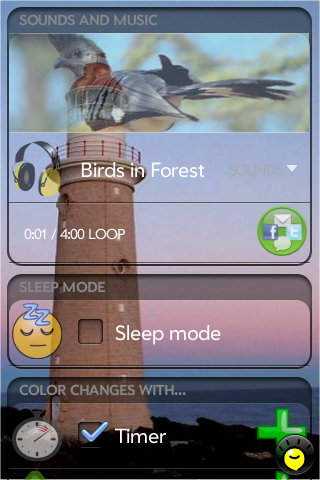 PLEASE add continuous white noise. Hi, I’ll try to find that ! Thanks for comment !